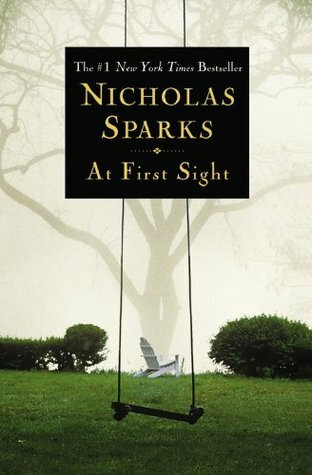 At First Sight written by Nicolas Sparks is a great novel that tells the story of two different people coming together in love and marriage. The character are so descriptive and really show what the author is portraying. Jeremy Marsh and Lexie Darnell really show through there dialogue what's going on in the story. The book was about two people who had decided to get married two or three weeks after they just met. Many of Jeremy's friends though that he wasn't thinking this through but what they didn't know was that Lexie was also expecting a baby. They moved to Lexie's home town in Boone Creek, North Carolina witch was a big change for Jeremy coming from New York. Jeremy had to adjust to the small town and start to plane the wedding and look for a house. They found a house after looking for a while and made reservations to get married by the light house in may before Lexie's baby bump showed. Jeremy started to get emails saying "how do you know the baby is really yours," he had seen Lexie holding hands with her long time friend who also had a huge thing for her but decided not to worry about it till now. He later figured out that it was one of his friends, messing with him to try to show him that going thru with everything was a bad idea but it didn't stop him. Later that year they got married and then had the baby. Lexie died due to child birth leaving a little baby girl with no mother and Jeremy with no direction. The ending of this story was told so well but was very sad, I was very satisfied with the ending, it really came as a total surprise and gave the ending a little twist. My favorite part of the book was the last sentence "And in that instant, while staring at his daughter through a thousand tears he fell in love and wanted nothing more than to hold Claire and keep her safe forever." at this point is when he realizes that he can't just give up because he lost Lexie instead he is going to always be there for there daughter. I thought the book was very good and had a great story to it with lots of twist, drama, and surprises. This book is like a lot of the other love stories you would read out there. Sad but it gets you hooked and you can't put down the book. I fell like teenage girls would really love this book. I know I did and I strongly recommend it.